How does he DO this ?!!! As in Bizzini opus 25 Itzhak Perlman How does he play pizzicatto runs with his left hand while changing pitch? Does he hold down one finger to control pitch and use another to pluck? Seems impossible, especially at that speed. I love pizzicato added to tunes!! LOL a couple of times I have added pizzicato to a song by mistake at jam once when my pinkie went crazy and another time when my index finger went crazy. "Jim McKillop", one of my favorites and a great violin maker too. When I read the title of this thread, I was going to post Jim's FMW but at my age couldn't think of his name to seek out the video and post it. Thanks, Shaick for posting it. He has several other video's too. 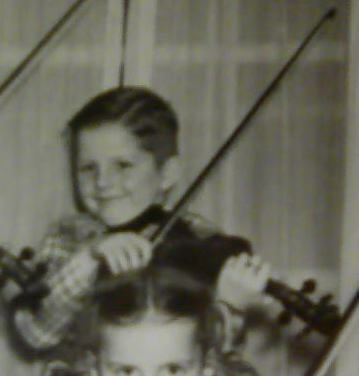 Here's just one of his many and look carefully, Jim has 4 fine tuners on his violin.